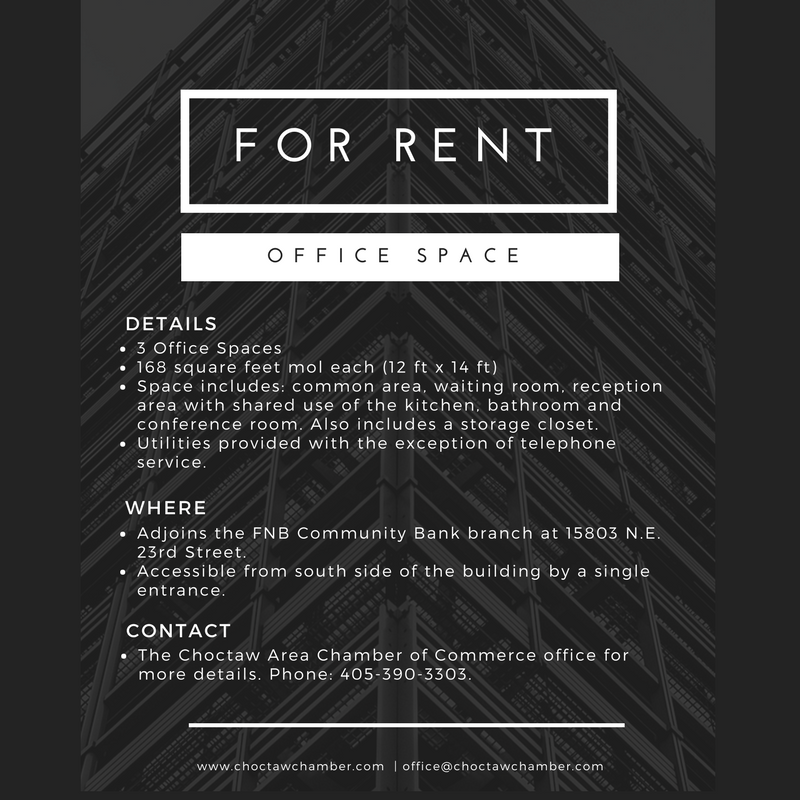 Contact the Chamber office if you are interested in leasing this space or if you need more information. 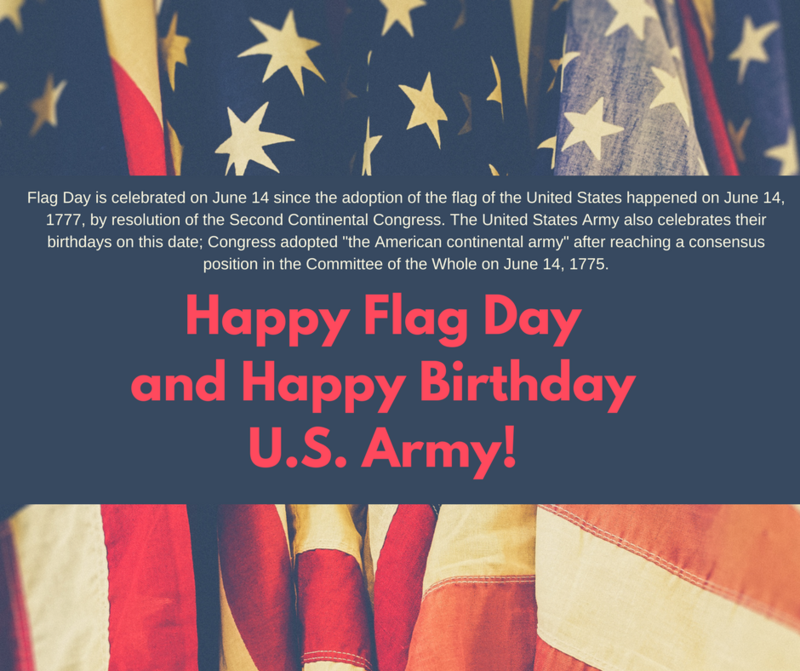 June 14 | Flag Day and US Army Birthday! 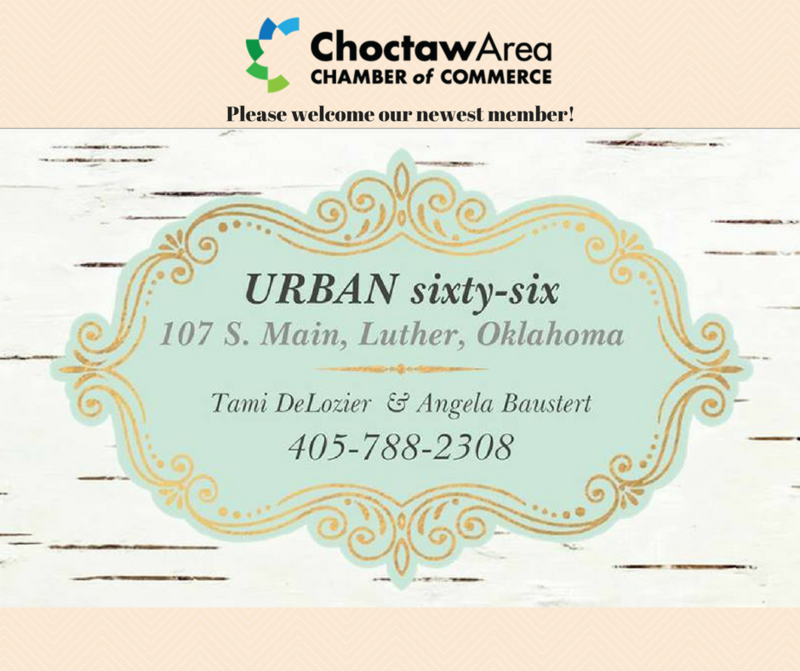 We are excited to welcome our newest members Urban Sixty-Six. Click on the link to go to their Facebook page or visit their store on 107 S. Main Street. 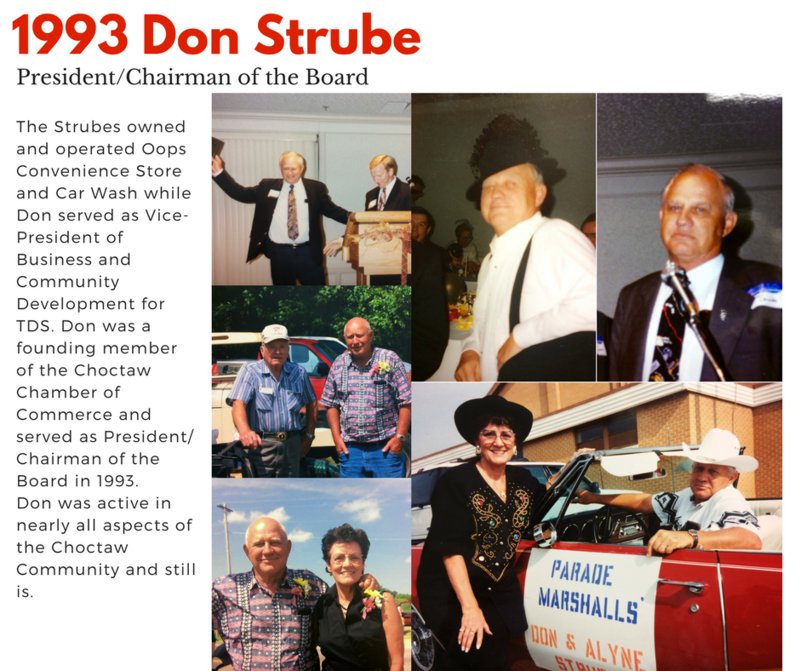 Don Strube served as President/Chairman of the Board in 1993. 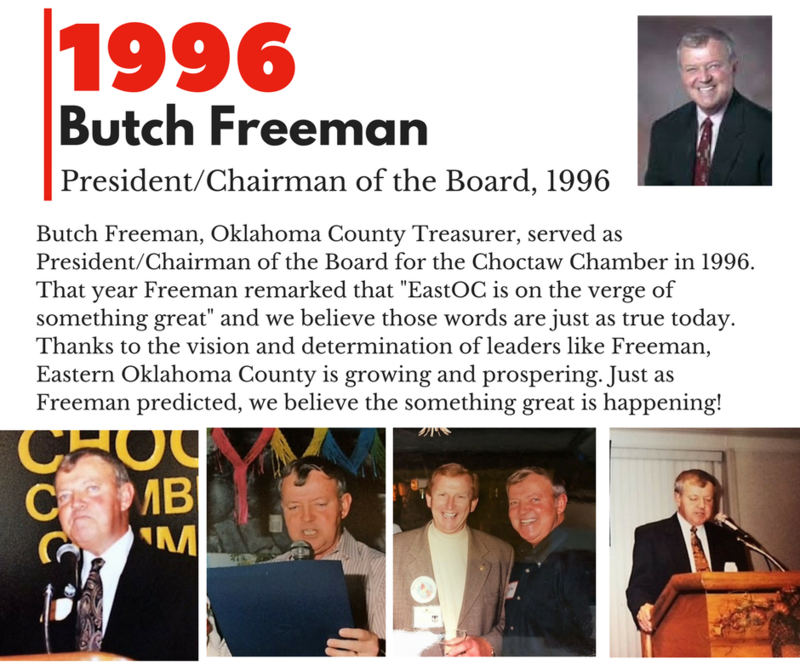 Mr. Strube was active in nearly every facet of the Choctaw community — Choctaw Lions Club, Choctaw Old Timers Day Committee, Choctaw Industrial Trust Board, and Choctaw City Council. 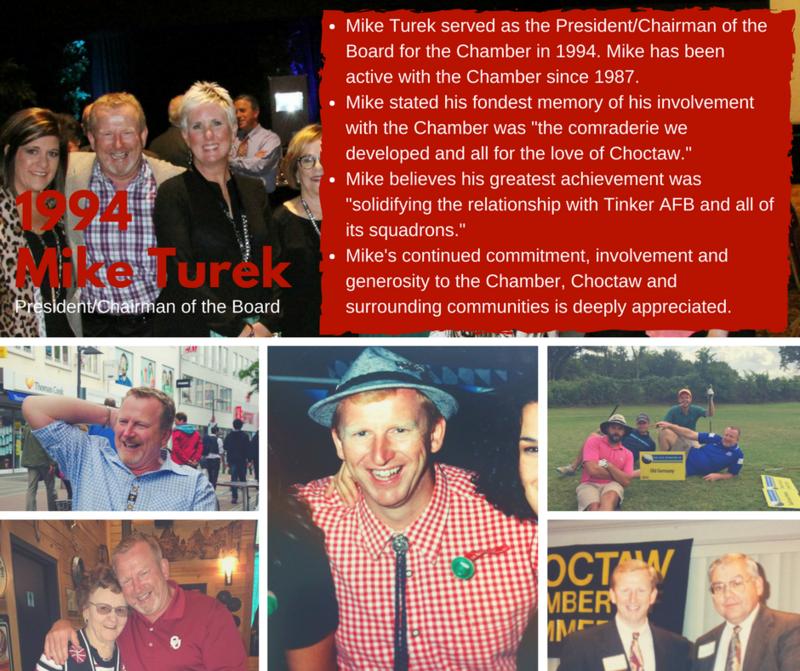 We appreciate Don and Alyne’s dedication to our community and their continued support of the Chamber along with numerous other organizations. 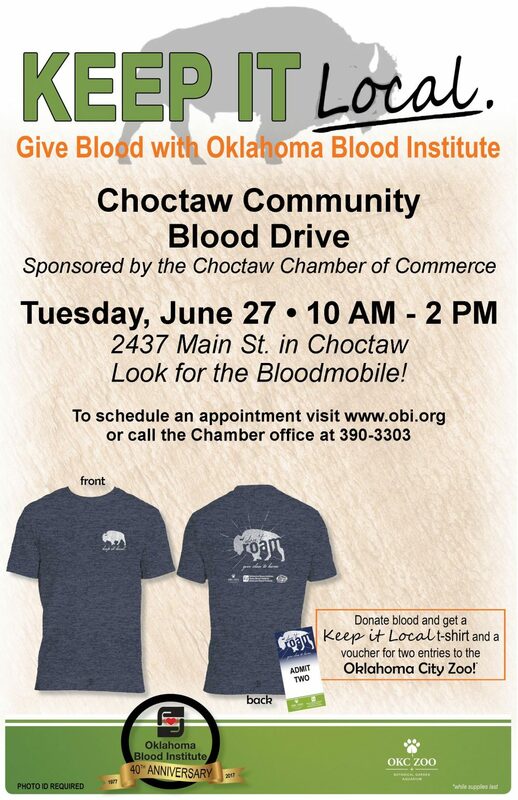 We are hosting a community wide blood drive on Tuesday, June 27 from 10 AM to 2 PM at 2437 Main Street in Choctaw. 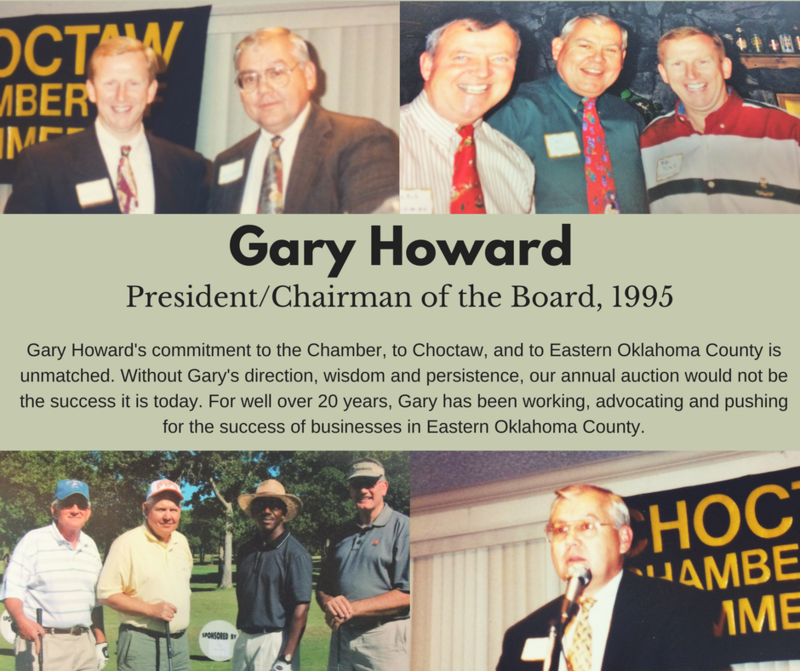 To schedule an appointment visit www.obi.org or call the Chamber office at 405.390.3303. 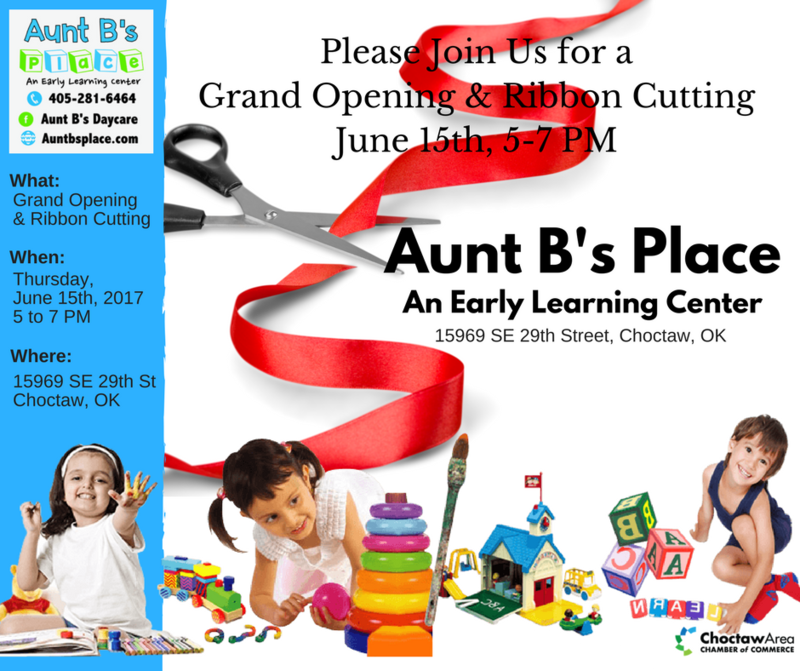 Please join us on Thursday, June 15 from 5-7 PM for a grand opening and ribbon cutting at Aunt B’s Place An Early Learning Center. 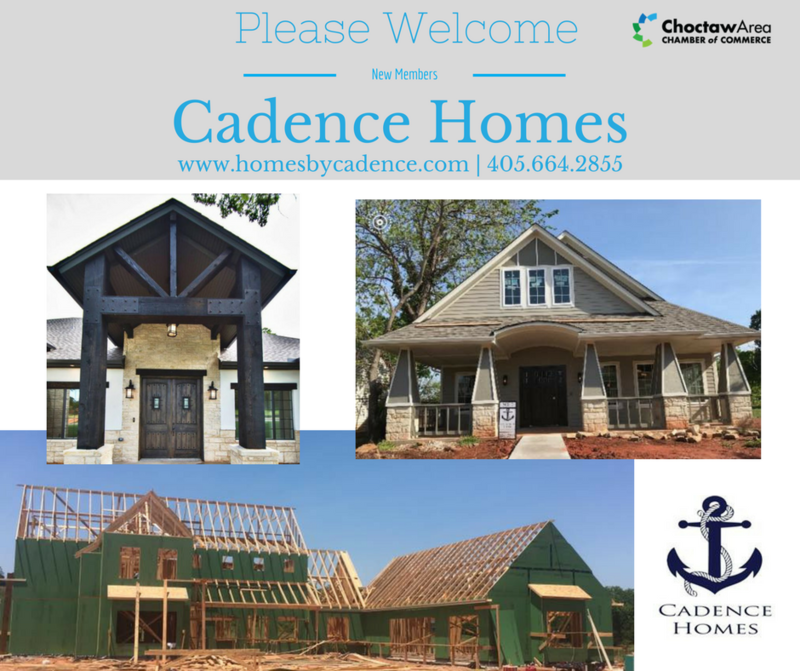 Please welcome our newest member, Cadence Homes. Check out Cadence Homes on Facebook!